China may launch an initial sea trial of its first aircraft carrier next month, a United States research institute has speculated. The trial was planned for July 1, the 90th anniversary of the founding of the Communist Party of China, but postponed due to "mechanical difficulties" or "growing tensions in the South China Sea," Xinhua news agency yesterday quoted the Jamestown Foundation, a think tank based in Washington, DC as saying. The foundation also speculated that Bai Yaoping, a senior colonel in the Chinese Navy and deputy director of the Dalian Naval Academy, would command the ship. The foundation said 49-year-old Bai was the ideal candidate as he was a member of the country's first warship academy class in 1987 mainly for aircraft carrier commanders and among the country's first group of commanders who could both pilot aircraft and sail warships. China's military has yet to confirm Bai's role, but Monday's PLA Daily of the Chinese People's Liberation Army described Bai as a "top-class, new style and comprehensive PLA commander." The paper quoted Bai as saying: "I will ensure the security and peace of China's territorial seas with loyalty to the country." China Central Television also broadcast a program about Bai after the foundation's views had been made public. 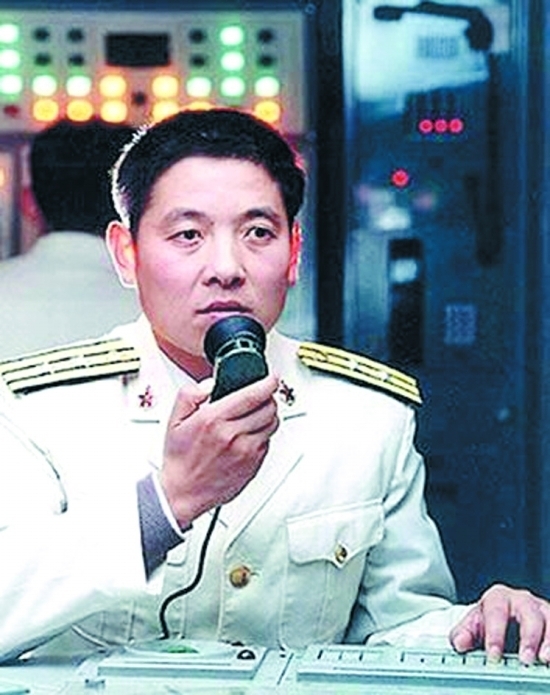 Bai became a captain of a destroyer in his 20s and commanded the vessel for more than 30,000 nautical miles across the world in around 30 maneuvers and visiting missions, the PLA Daily said. 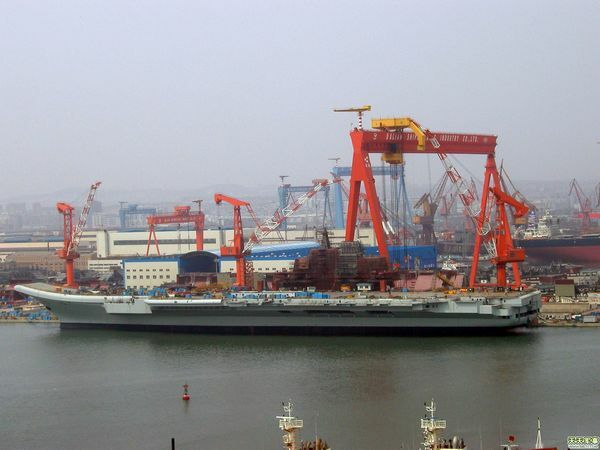 The US foundation said the Varyag, which was purchased from Ukraine in 1998 and was being refurbished at the Dalian port in Liaoning Province, would be China's first aircraft carrier. China has spent the best part of a decade refurbishing the former Soviet aircraft carrier, the Hong Kong Commercial Daily said previously. The newspaper said the ship was expected to serve primarily as a training vessel for the navy and for naval pilots. The still-unnamed ship was bought as an empty shell without engines, weapon systems or other crucial equipment. The former Soviet Union began building the Varyag in December 1988. Construction halted in 1992 with the ship structurally complete but lacking electronics. Is China a little girl or a big strapping lad?